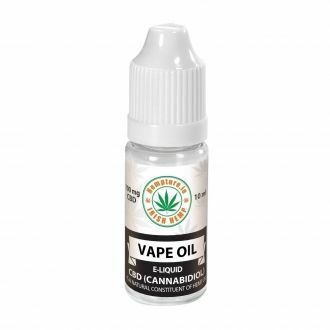 Every effort is made to ensure all content provided by CBD Store.ie is 100% accurate however it is not possible to guarantee complete lack of errors on the Site and material published may include inaccuracies or typographical errors. The information and other material published on this Site are based on official product manufactures’ catalogues. We make all reasonable efforts to ensure that product information is accurate and to display as accurately as possible the colours of our products. However, we cannot guarantee that your screen's display will accurately reflect the colour of the product on delivery. Changes are periodically made to the information on the Site without notice to you. 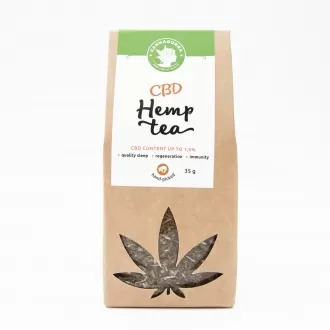 CBD Store.ie does not warrant that the functions contained in the Site or any materials or content contained therein will be uninterrupted or error free, that defects will be corrected, or that the Site or the server that makes it available is free of viruses or other harmful components. CBD Store.ie shall not be liable for the use of the Site, including, without limitation, the content and any errors contained therein. We offer FREE delivery to your home or place of business anywhere in Ireland, North or South on orders of €100 or over. Delivery cost for products of value lesser than €100 is €4.99 in Ireland. For more information click here. The standard delivery time is up to approximately 2-3 working days. We cannot be held responsible for delays in postage, as it is out of our control. However, we will resolve any transit issues as quickly as possible. If an incorrect delivery address has been supplied to CBD Store.ie, the customer will be responsible for additional postage costs. We guarantee total customer satisfaction. If you are not completely satisfied with your online purchase, you may return unused merchandise in its original box provided you meet the rules described hereafter. You have the right to retract the sale agreement at any time up to 14 calendar days from the delivery date. Your right of retraction does not exist for personalized items. All items must be returned unused, with authentic labels, use instructions, guarantee leaflet and other hangtags and wrappings, and in original packaging. You are responsible for returning the products to us as soon as possible and at your own cost. If goods returned under your right of retraction are not in a re-sellable condition, we will not accept your return. STEP 1. Pack the item to be returned (only unused items, with authentic labels, use instructions, guarantee leaflets and other hangtags and wrappings) in a secure carton to prevent damage while in transit. CBD Store.ie reserves the right to make changes to the site, and terms and conditions without notice to the customer. Visiting this site or placing an order is you acknowledging and accepting these conditions. All of our products are not medicine and are not intended to treat, cure or prevent any disease, ailments or conditions. Food supplements should be taken as part of a varied diet and healthy lifestyle. Always check with your GP before starting any new supplement programs.